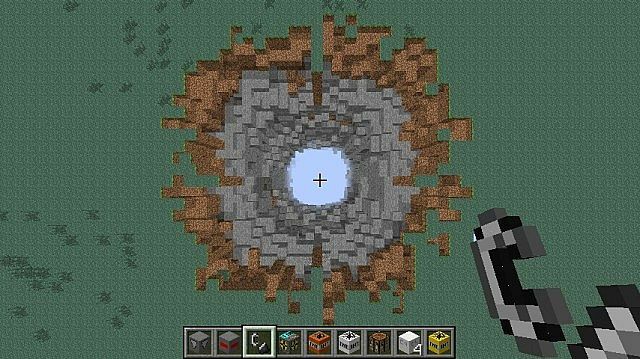 The Explosives++ Mod is a mod created by the developer minerguy31. The mod adds different strength TNT blocks, that all have unique explosions and textures. The mod is available for the latest patch of Minecraft, and is compatible with a variety of other mods and texture packs. So what are you waiting for, install the mod today! To use this modification, you need to first of all download and install it into your Minecraft game. Then load up Explosives++ Mod and craft some of the features in the mod. There are currently no public video showcases highlighting the features of the Explosives++ Mod. TNT x5: Simple, just 5 times stronger than TNT. C4 Explosive: Explodes instantly, half as strong as TNT, and not set off by nearby explosions. Drill TNT: Drills hole down to bedrock. No crafting recipie as of now. Flat TNT: Blows up a large, relatively flat area around the origin. Good for clearing out large underground areas. No crafting recipie as of now. Next, download the Explosives++ Mod and drag and drop the contents of the download into the ‘resoucepacks’ folder. The latest update for the Explosives++ Mod fixed the nukes as they were not fully exploding; Changed nuke explosion slightly. The update also added a base code for more explosives, this feature is still in beta however.